Imagine a beautiful window looking out into a field with your horse looking back at you. This is what many of our clients commission. 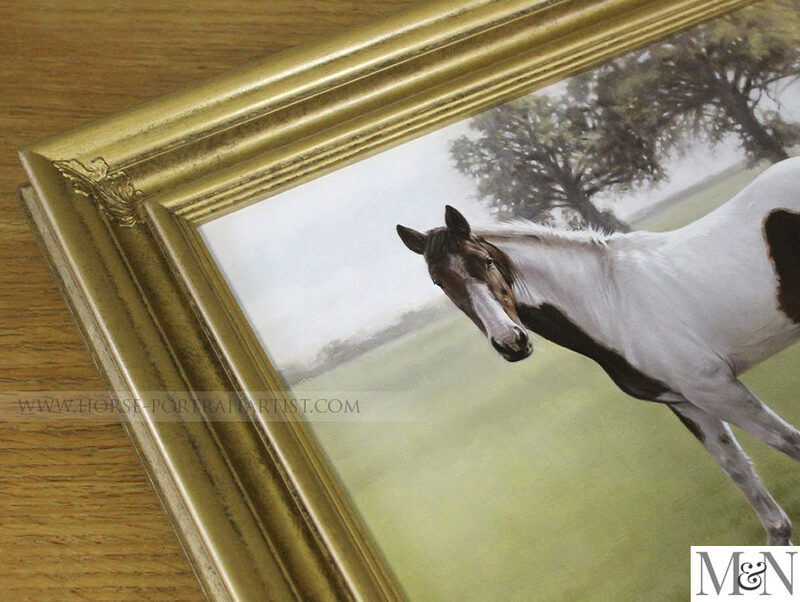 They want to see their horse, when walking past the painting, as if they are looking out of their window at the beautiful scenery and their horse at that moment is looking back at them. What a perfect way to see your horse every day. This is exactly what our clients requested in the painting of Gypsy for a special birthday surprise. Read on to find out more about the commission and we would love it if you shared our page on social media using the buttons below too! 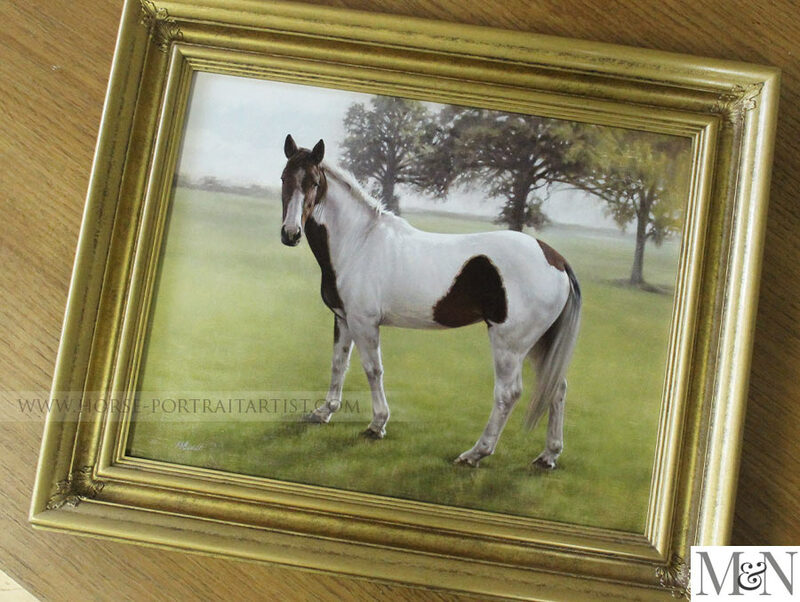 Val Davies telephoned our studio in 2015 to enquire about saving a space in Nicholas' schedule to paint her granddaughters horse for her birthday. Val placed a deposit down and asked her daughter in law to take lots of photos of Gypsy without her granddaughter knowing. After taking about 30 photos of Gypsy both our in the field and in the stables, along with sending some photos of her granddaughter riding which had been taken previously, we had plenty of reference to work with. Val opted for an 18 x 14 oil painting and also requested for us to arrange a gold frame which we felt would work with the portrait and the colouring. Each time we have a framed painting in the studio, if we have time we quite often take video of the portrait for our clients and viewers to watch. 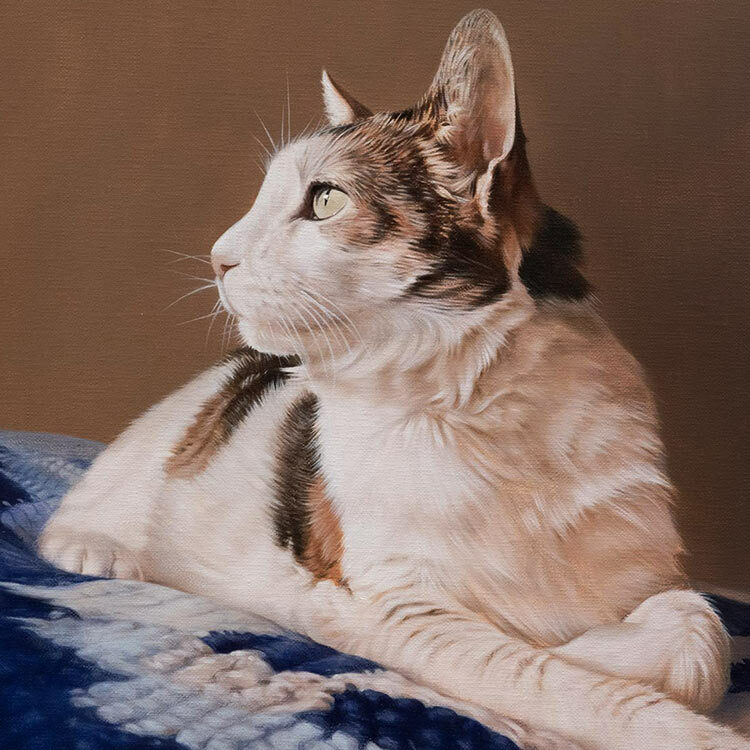 I have included the video I took of Gypsy just prior to packing the painting, hopefully it will give our readers a good idea of what the portrait is like, perhaps in a more realistic and three dimensional way. The portrait arrived safely on Saturday morning. Elizabeth was delighted and wants to hang the picture in her bedroom much to her Mothers disappointment who wants it in the sitting room, I will send a photograph when it is in place. It is a hectic week tidying up garden and driveway ready for the party Saturday night. I have been over with some baking today, just to keep them going. Tomorrow it's flowers. So pleased it has stopped raining. Thanks to you both Nicholas had a very busy time to meet the deadline. Please thank him very much. We videoed the painting when it was all completed and framed so that you can see it a little more clearly. We hope that you enjoy the video, don’t forget to give it the thumbs up if you view it on YouTube! We took a range of photos of the painting when it was completed. We hope you like it! 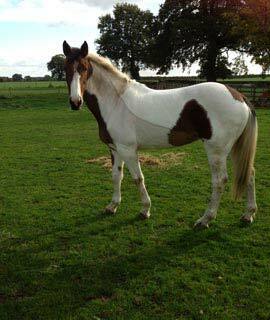 We hope you enjoy reading about the horse portrait of Gypsy. 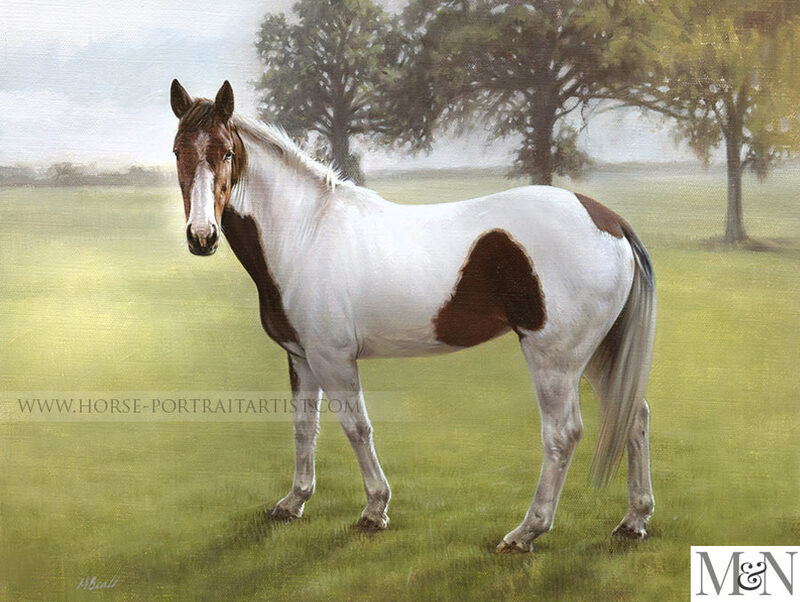 If you would like an oil painting of your horse in a landscape, we would love to work with you. 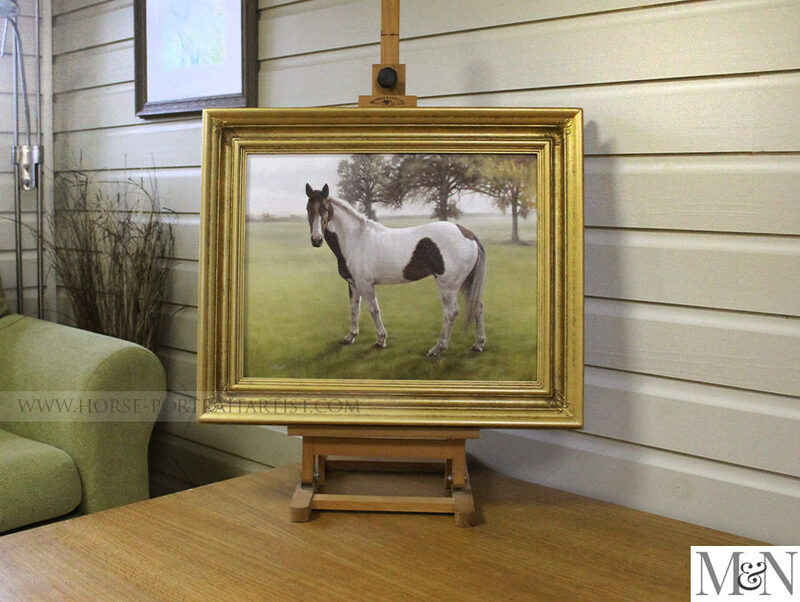 Ideally paintings of this nature need to be on the larger size so if you have a beautiful place to display a stunning oil painting framed in your home, just drop us a line with your photos via our horse portraits contact page and we can discuss your ideas.